First there were cars. Then the Miura brought us the supercars. Then the hybrid ushered in the age of the hypercar. But what the hell is a "megacar"? We have no idea, but it's what the maniacs at Koenigsegg are promising us. I have no clue what the Koenigsegg Regera is. 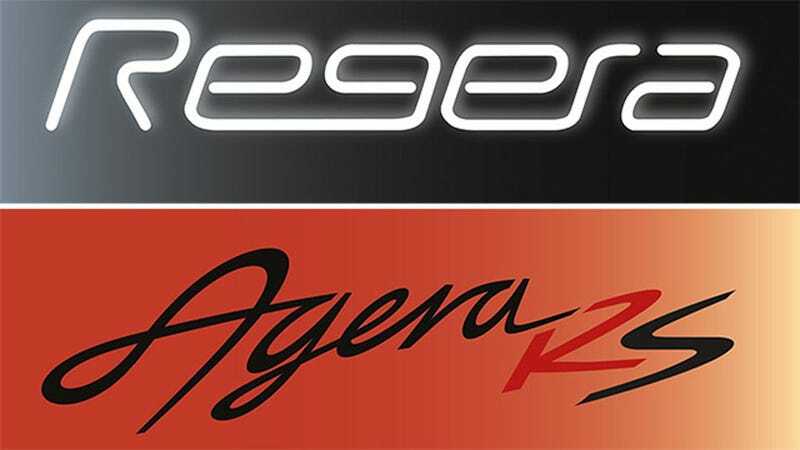 This announcement just popped into our inbox that said "Regera" and "Koenigsegg Megacar Reveal" for the Geneva Motor Show in March. It is steeped in mystery. The company has also teased a new Agera RS, a car for people who find the twin-turbo V8, 250 mph, 1,115 horsepower Agera R as boring as a Camry. So the Regera is an entirely different model, then? Or something else? I don't know. All I know is I'm ready for the megacar. Bring it on, Koenigsegg. Update: A few of you pointed out something I forgot — Koenigsegg also called the One:1 a megacar because it had one megawatt of power, or 1,340 horsepower. I guess that gives us an idea where they're going with the Regera.